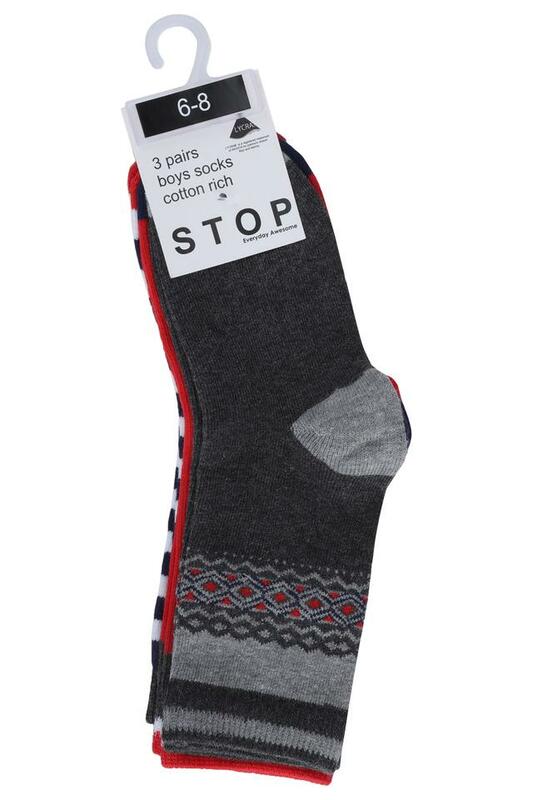 Your little style icon will love to wear any of these three socks in this pack from Stop. These promises to offer a soft touch against his skin as these have been tailored with care using a premium quality fabric. Besides, these feature different patterns to make the ensemble all the more fetching. 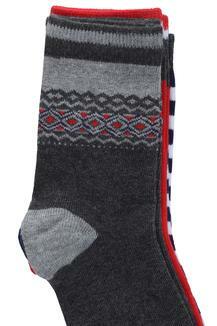 Check out this pack of three socks if you are planning to give the regular fashion of your son a stylish twist. Each of these will perfectly complement a wide range of footwear.